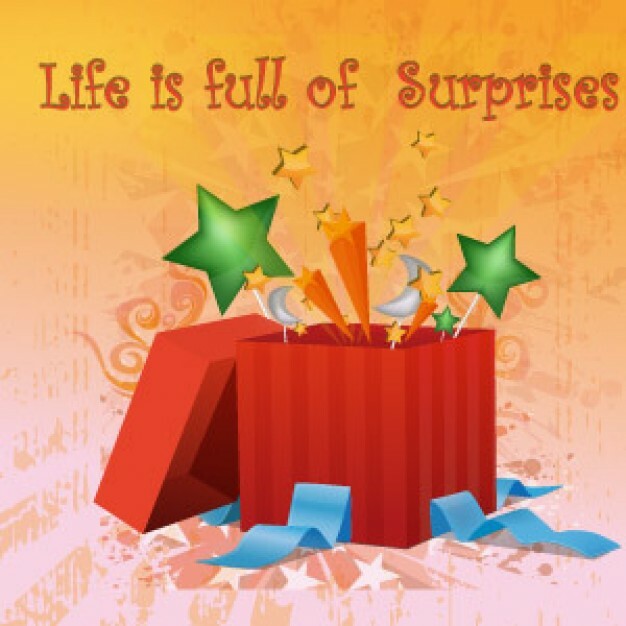 Coming Soon… … Surprise Giftaways! Hello, everyone! A million thanks for visiting my humble blog. Sorry to be away for so long. Was kinda busy with work and also gotten kinda emotional for a period of time due to some personal events. But it feels so good to be back again, chatting with all my friends here. I can’t really fully express how thankful I am to you all. But just want to let you all know, you are all my god sent angels. Thanks for being with me for so long. 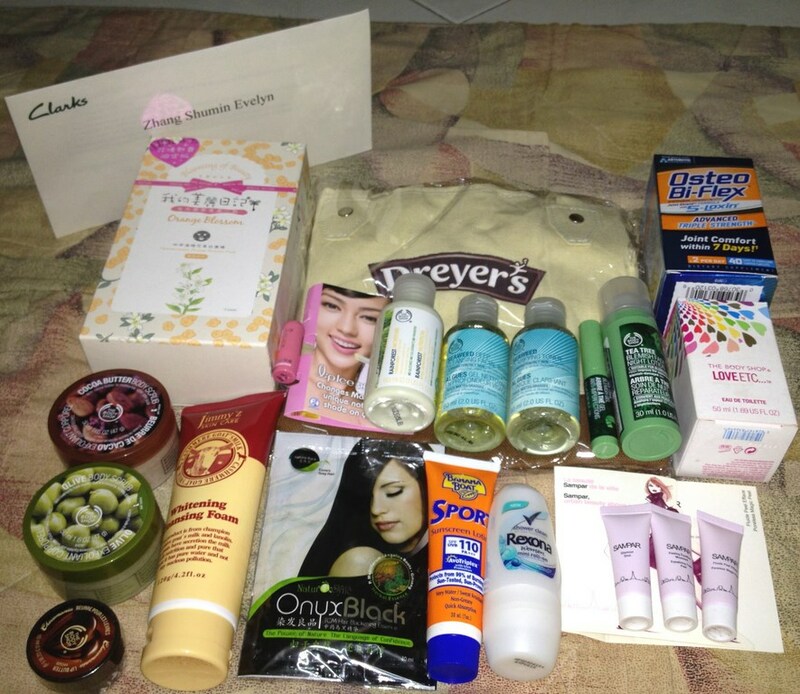 Its time for another giveaway in my blog. This time, it will be a surprise one that will be held for the whole month of June 2013. Any day, I will be posting up a surprise giveaway blog post and the first person to reply gets a bag of goodies from me. To ensure that everyone gets to own a goodie bag, each friend is only allowed to win once. This is my way to make sure that I can share the things that I loved with more friend. Do keep a look out for it okie? I will be posting the first one anytime soon. 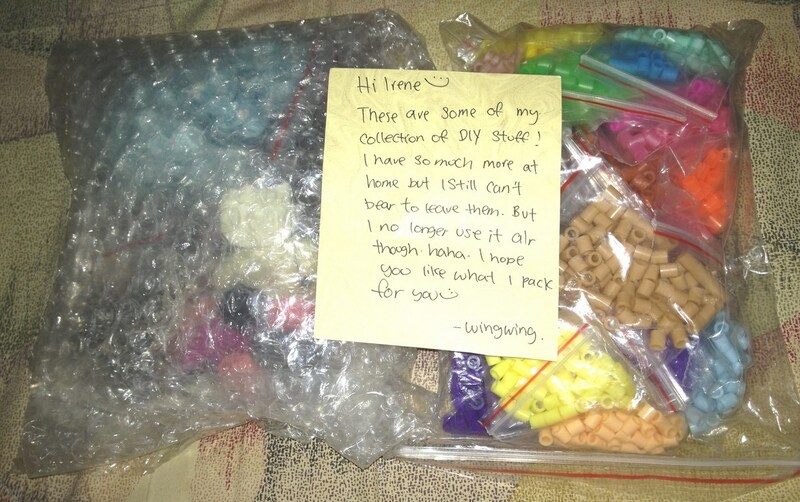 Received a parcel of DIY materials from one of my FB friend, Wingwing. She saw from my instagram pictures that I’m into some DIY craft and offered to send me some of her goodies that she had bought. That is indeed very sweet of her. She is one of those angels that I had the honoured of knowing through facebook. OMG! I’m so thrilled by the large quantity of goodies that she had packed for me. She had also include a sweet handwritten message. I loved handwritten messages as compared to those printouts. It sort of enables me to feel the sincerity of the gift sender. Yeah! Just as I was kinda disappointed with the limited colors in the Pyssla beads that I was playing with recently. 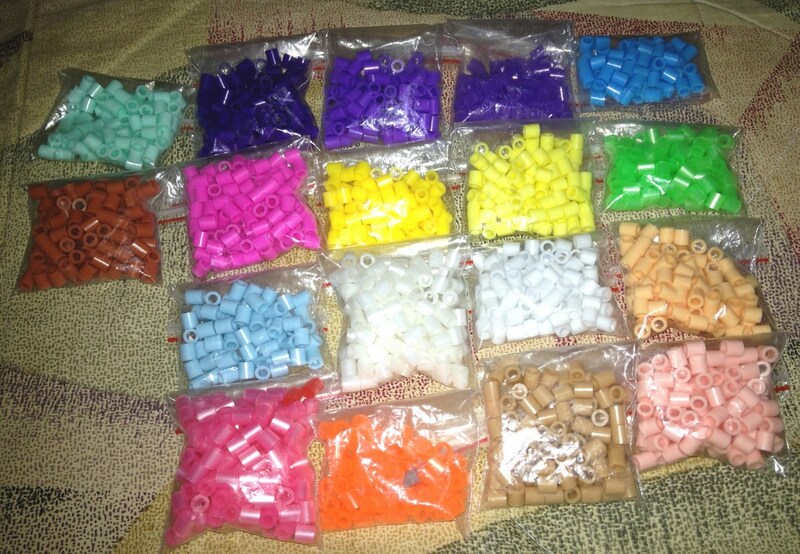 The beads that WingWing sent me looks so much better, both in color variation and also in quality. Think these are called Hama beads, if I’m not wrong. The bottle of Pyssla beads I bought from Ikea only got nine color, which limits me to only doing simple designs with them. She also sent me some other DIY accessories along in the parcel. There are so many things that I can do with all these goodies. She is such an angel. I felt so blessed. Am so loving all the things that she sent me. How shall I express my thankfulness to her??? Perhaps I can make her something using these lovely babes. More Goodies From My BFF ! 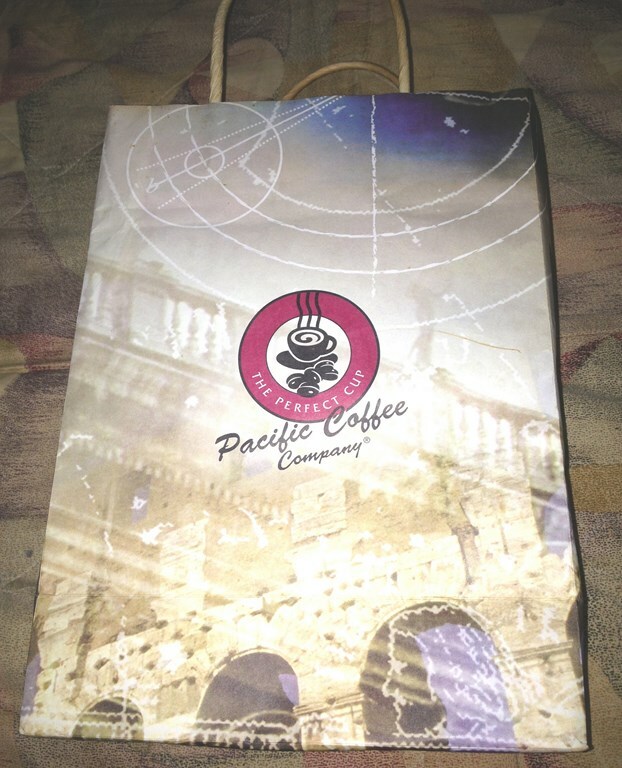 My BFF Evelyn dropped by my workplace once again and passed me yet another big bagful of wonderful goodies. Was only anticipating to get from her the $25 Clarks voucher to buy myself a new pair of shoe for work. But was both thrilled and surprise when she handed me the heavy bag. OMG! Just look at the wide spread of goodies that she had so kindly given me. She never fails to WOW me with that much love from her. Am so loving the items. Not to mentioned, she also helped me to collect the Jimm’z whitening cleansing foam. Meant to give it to her as I didn’t have the time to collect the item within the allocated time frame due to work commitment. 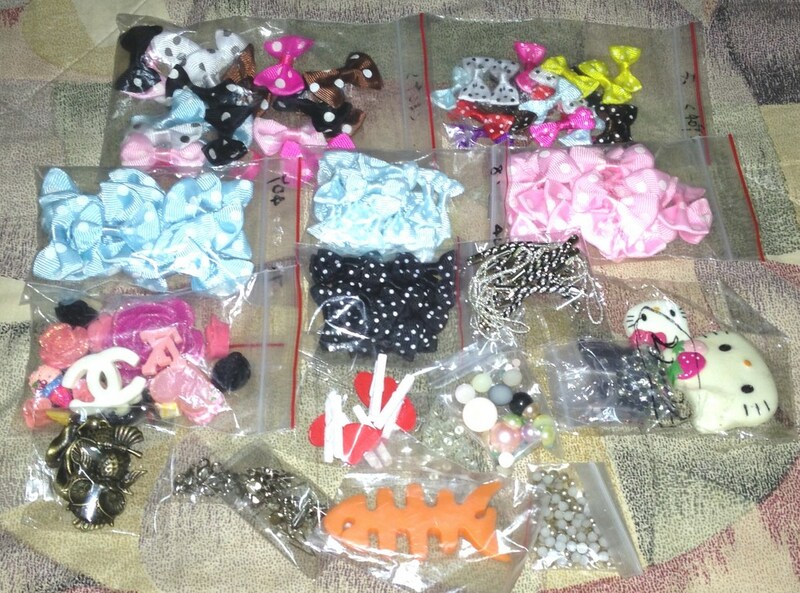 As compare to what she gave me, the items that I had passed to her seems kinda miserable and pathetic. Nevermind, I can always giver her more goodies next time I meet her to make up for it.